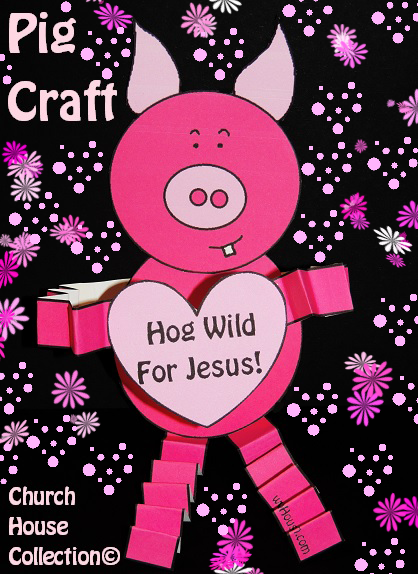 Pig Valentines Day Cutout Craft "Hog Wild For Jesus!" 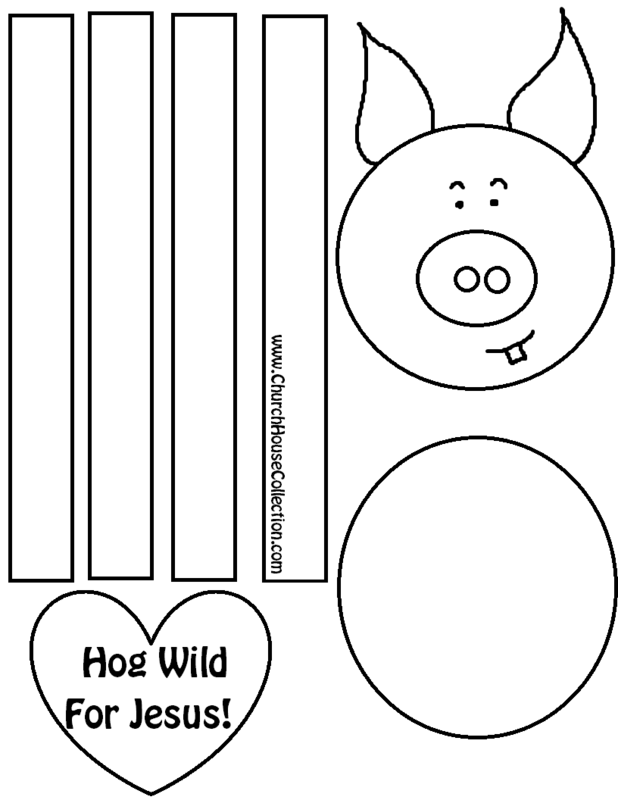 Pick out which pig template you need and print it out. 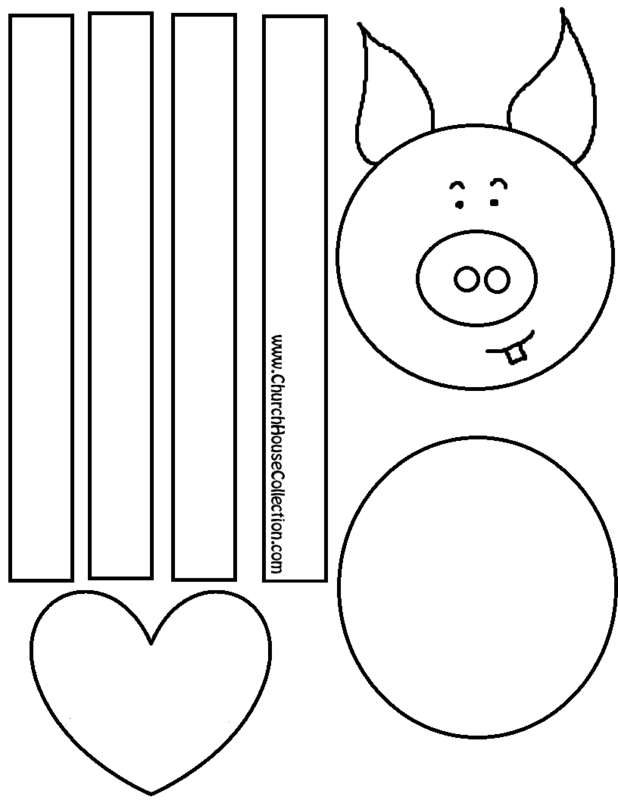 Have the kids color it first if you printed the black and white template. Then cut it out and tape it together. 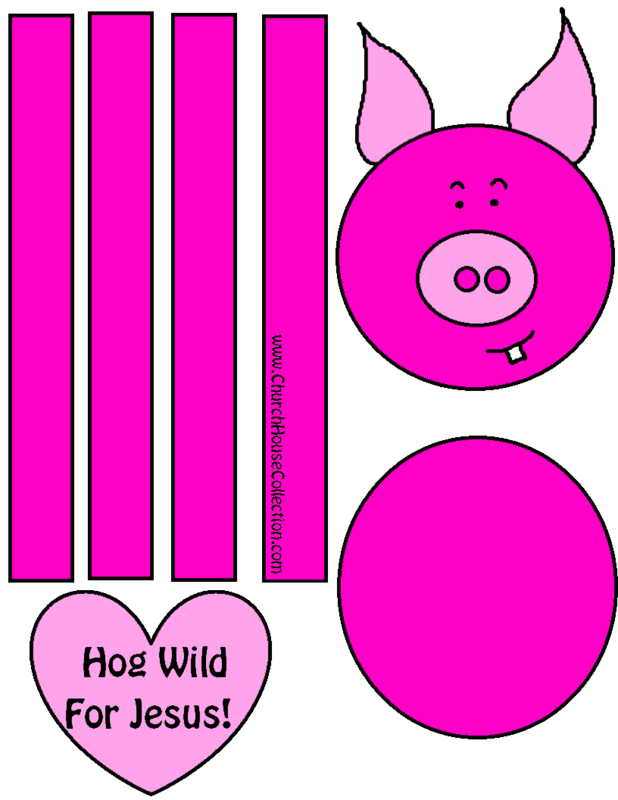 This pig is holding a heart that say's HOG WILD FOR JESUS! This also comes without words so you can add your own words.